The AAPG Foundation’s United States Military Veterans Scholarship Program (MVSP) is designed to support veterans pursuing an undergraduate geoscience education. Application open now through 15 May. Scholarships range from $2,000-$4,000 and may be used for tuition and living expenses. Who Can Apply? Active U.S. military service members (including National Guard and Reserve) or veteran members separated from active military service who have been discharged and are entering or re-entering an undergraduate program in a field of geoscience, full-time or part-time, at a four-year accredited college or university. Again, she will not be on campus this week. 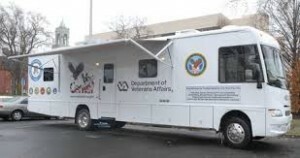 Mary Newman, Benton County Veterans Service Officer will be on campus this week! Feel free to stop in if you have questions about any of your VA benefits. Stop by Kerr Admin in the Career Services Office (Rm 5) to see Mary Newman, she is our Benton County Veteran Services Officer. She can answer questions you may have about your VA benefits and help to file claims. Housing and Dining Services is hiring for Summer for Residential Conferences and Building Services Staff!!! Applications are available now with a submission date by March 15th. We are hiring for a VA work study to start Spring Term 2015 on the Corvallis Campus. To qualify you need to be collecting a VA Education Benefit and be attending school at least 3/4 time. If interested please send us a resume and cover letter to veterans@oregonstate.edu or drop it off at the Registrar’s Office. We will be calling for interviews on the 23rd of February. Paid Summer 2015 Internship Opportunities!!! What if you could discover dark matter… curb U.S. dependence on foreign fuel… clean up an oil spill… or save the world from acts of violence before they happen—all by making a vital scientific discovery today? Better yet, what if you could improve humanity for generations to come by finding and nurturing the scientists who will discover a myriad of ways to improve the world around us? Would you? We are. Picture display at the main staircase (marble steps) at the MU showing some of our student veterans while in service and today, up all week! Here is the latest update our office has in regards to the Choice Act of 2014 Section 702. At this time we do not know how this will be implemented but as soon as we have information regarding this program we will be sure to let our community know. This is a note providing you an update on Veterans Access, Choice, and Accountability Act of 2014 (“Choice Act”) as it pertains to the in-state tuition provision – Section 702. The in-state tuition provision requires VA to disapprove programs of education under the Post-9/11 and Montgomery GI Bill programs at public institutions of higher learning if the schools charge qualifying Veterans, spouses, and dependents tuition and fees in excess of the rate for resident students for terms that begin after July 1, 2015. As such, any schools that do not meet the requirements will be disapproved for Post-9/11 GI Bill and Montgomery GI Bill benefits. The law affecting in-state tuition charges is effective for terms starting after July 1, 2015. Our initial review of all states and territories indicate that none are fully compliant with the law – some are more compliant than others. We are making every effort to ensure all states understand the requirements to comply. We have reached out to all state Governors, our State Approving Agencies and a wide variety of others to ensure they know the ramifications of not complying with the Choice Act. Public institutions must offer in-state tuition and fees to all eligible individuals identified above by July 1, 2015, to be eligible to receive payments for training on or after that date. It is anticipated that VA will not issue payments for any students eligible for VA benefit payments until the school complies. Much can/could happen between now and July 1, 2015 but we like to provide what we know for the moment.